Clarity Money has the story right. Managing checking and credit accounts, bills and more is time consuming. Inconsistent incomes and lumpy bills turns financial management turns into a nightmare. And many people are struggling with it. The Clarity Money App wants to be the technological advocate that streamlines your finances. Their platform offers big savings opportunities. However, Clarity Money falls short on key promises. Here’s what you need to know about the app in our Clarity Money review. 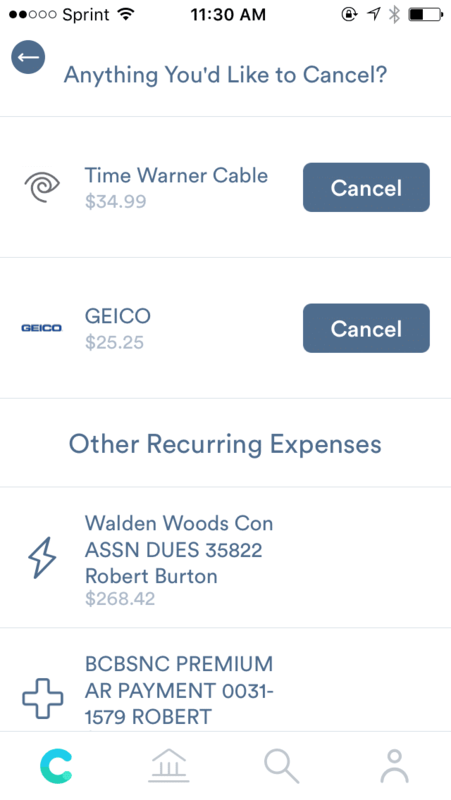 Clarity Money is an expense tracking and bill negotiating app. The app allows you to link your checking and credit accounts, so you can categorize all your transactions in a single app. They also allow you to manage all your accounts from a single account. Need to transfer money from one account to the other? You can do it in the app. Clarity Money organizes your transactions into graphs. The visuals help you gain insights into your spending habits. The presentations are similar to those you find in Personal Capital. They include daily spending trends and pie charts. 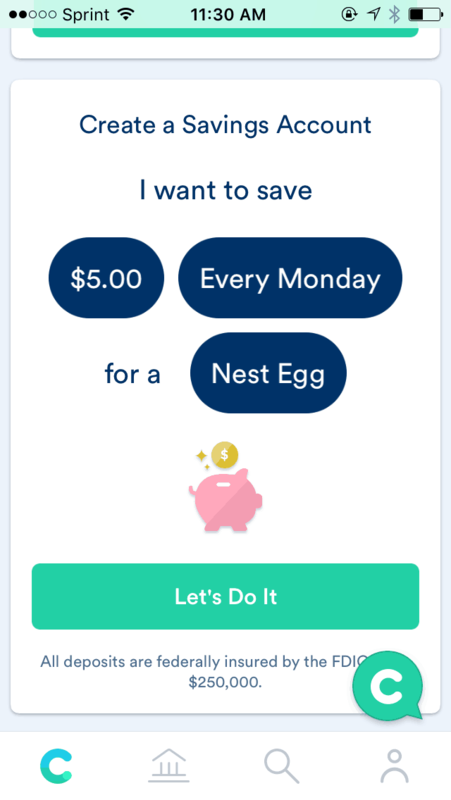 In a unique twist on budgeting apps, they also help you save money. Clarity Money can negotiate to decrease some of your bills on your behalf. According to the company, they have the most success lowering your home Telecomm bills. If Clarity saves you money, they take ⅓ of it as a commission, and leave you with the savings. Clarity Money also makes it easy to cancel bills through their app. If you want to cancel Netflix, cable subscriptions or Birch Box, you can do that through the app. Within a week, the team at Clarity Money will cancel your subscription. They don’t charge for that service. Finally, Clarity Money offers an automated savings platform. Users can set up an automatic savings in an FDIC insured bank account. Clarity Money wants users to automate good behavior, and the automatic savings transfers make sure that happens. Clarity Money is a technical masterpiece. Clarity connects to bank accounts faster than any other app, and they don’t “lose accounts” like other apps. When “the computer” is thinking about your money, it’s doing amazing things. I love that Clarity Money makes it easy to transfer money between accounts (even at different banks). It’s amazing that Clarity identifies subscriptions to cancel and bills to lower. 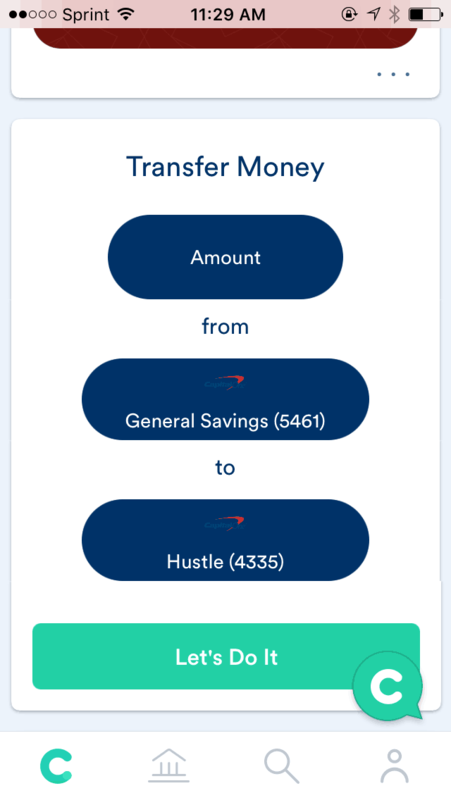 The automated savings feature will help users build their savings muscle with just a few taps of their finger. No other personal finance app comes close Clarity Money’s technical mastery. Not only that, they bring it to you for free-ish. The only charges you’ll see from Clarity Money are their commissions for negotiating bills on your behalf. 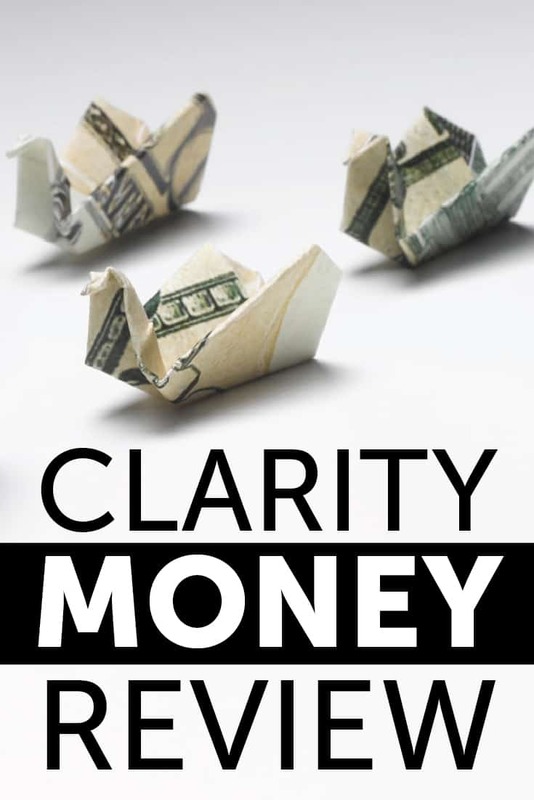 Clarity Money mastered thinking about money for you, but they don’t empower you to think about your money choices. These are a few specific shortcomings in the app. Real financial empowerment comes when you have a forward looking view of your money. You need a budgeting method that matches your personal behavior. Clarity Money promotes automated savings, but they don’t force you to come up with realistic spending patterns. Some people have predictable income and expenses. They get checks every two weeks, and their bills come every month. Clarity Money will suit this type of person. However, people with variable incomes or variable expenses will struggle with Clarity Money. The month I downloaded the app I paid state income taxes, a quarterly tax estimate, and a surgery bill. My spending for the month dwarfed my income. Clarity Money said that I overspent my budget by $4,900, but all that extra spending came from savings. So far, I haven’t seen a free app that solves this problem in an automated fashion. Clarity Money doesn’t allow users to create and view customizable categories. My car maintenance costs (insurance, gas, etc.) fell into the “Shopping” and “Bills” category. My utilities, charitable giving, and childcare also wound up in Bills. Clarity Money does not allow you to create categories that matter to you as a person. I want to look at Food, Fun, Childcare, Utilities, Home Repair, Telecomm, and Medical expenses. You might want to look at Travel, Insurance, and Debt Repayment. Each person thinks about their spending through a unique lens. Gaining clarity on spending means thinking about those purchases accurately. Unfortunately, Clarity Money doesn’t allow you to do that. Is Clarity Money a good app for you? It depends what you want out of the app. If you want an app that negotiates your bills or allows you to transfer money between accounts, Clarity Money is amazing. If you want a great budgeting or expense tracking app, look elsewhere for now. Clarity Money is still a new company, and they are mission oriented. We could see big changes in the near future. Downloading Clarity Money won’t solve your money problems, but it could help you gain a better understanding of your finances. If you’re not already using a tracking app, Clarity Money is better than nothing. Because of the technical advantages, I recommend it over Personal Capital. However, Clarity Money isn’t a complete financial solution at this time. 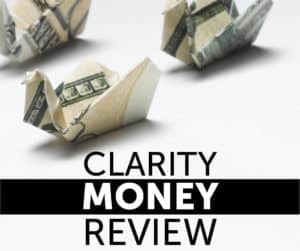 In our Clarity Money Review, we share how it works as a great technical tool, but it still lacks in budgeting and other key features. This was a great review. Nice to see a nonbiased review providing both the pros and cons. I haven’t looked into Clarity Money but will probably do so after reading this. The point about variable expenses is so true. I guess it is harder than we realize to come up with an automated way to track these on time or non-recurring expenses. It is a great concept and has applications, but needs to fix some minor details to become really great. Is there a free (or close to free) app more geared towards budgeting that you do recommend? 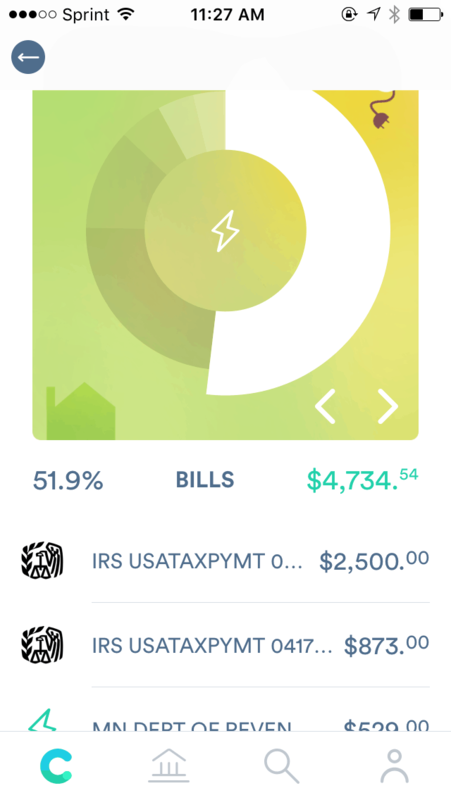 Finding out about this app has peaked my interested and I’d really like to explore more options I can utilize, as a recent college graduate learning how to monitor my spending and debt. Do you want a spending tracker or budgeting app? A spending tracker basically connects your accounts automatically so you can track your spending. A budgeting app forces you to pick your spending in advance, and tells you how you’re doing. For spending (and mild budgeting), the best free app is Mint. You can go to Mint.com and get started. What about the safety and security aspects of letting Clarity (or Goldman Sachs) have access to all signons and passwords? Can you discuss the legal or insurance issues should there be a problem with disappearing funds? The NYT has a good article (albeit old) that discusses this here. In general, most of these aggregators have relationships with your banks/institutions and they connect through encrypted means. Some banks require you to do additional steps to make the connection work. All of these services (including Clarity) don’t have access to changing or moving funds, they only read your balances and transactions. A bigger thing to think about is that your identity and passwords are already stolen for most people – it’s just a matter of time or resources before they are used. So, using services like these allow you to quickly see all your accounts in one place instantly, versus not having this easy access. Good review. Nearly everyone has variable expenses and many have variable income, as do most entrepreneurs, self-employed people, investors, and small-business owners Clarity’s inability to account for this, along with non-customizable categories, alas, would make it crippleware for me. I agree with you about Mint, which is an excellent tracker and report generator – the best so far as I am concerned – but only a modestly capable planner (limited at best, just bottom-line basic). If Clarity version ever corrects these two defects, it does indeed sound as if it would a valuable too. APY stands for annual percentage yield and it just refers to the percentage interest you’ll earn. Their online savings option is through Marcus by Goldman Sachs – that’s a major bank and consistently listed on the top of our best savings accounts. They are also FDIC insured – so you can’t lose your money. Hello, I am not sure if the developer is aware. But I noticed that Clarity is counting my credit card payments as income. It seems that it does not recognize and exclude transfers from within my accounts. I have to manually look for each and every single credit card payments and flag it as bill and exclude it (as not excluding it will likely double count my expenses as well). I hope you plan on fixing this. I don’t think Clarity Money has the feature to negotiate bills anymore. Just to cancel bills.